What is the ‘Macedonia Dashboard’? The ‘country dashboard’ was introduced in Summit 2015 to help define ‘aspirational and achievable’ targets for Macedonia in 2025. It also provides a way to track progress towards those targets. In other words, it provides an answer to the questions: what do we mean by a ‘stronger country’ and is Macedonia becoming that ‘stronger country’? A further but no less important aim is to provide increased public accountability for key decision makers. 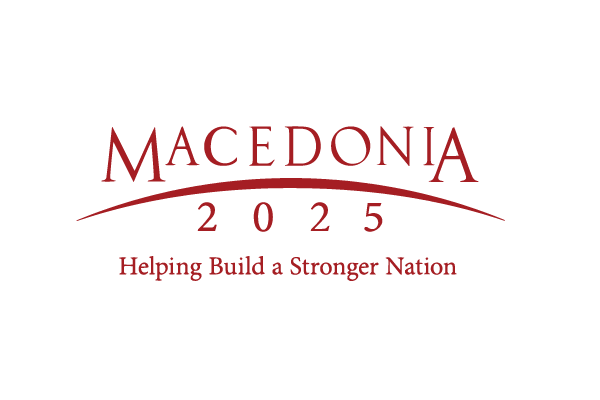 It also serves as tool for Macedonia 2025 to identify opportunities where we can help make Macedonia stronger. The dashboard’s metrics and peer countries were chosen by Macedonia 2025 in consultation with a diverse group of experts from the Economic Development Boards of Singapore, Turkey, McKinsey & Company and in consultation with the former Prime Minister of Georgia, Nika Gilauri. The dashboard consists of 14 economic, financial and social metrics, with each metric having a corresponding goal (see tables 1 and 2 above). 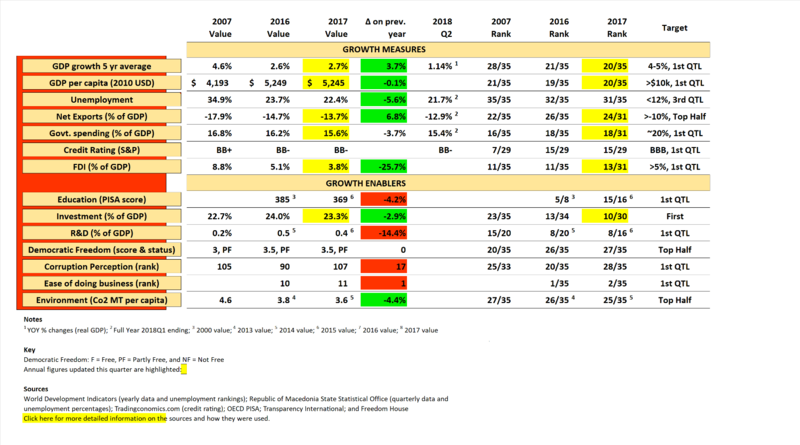 The metrics are split into two categories, those that measure economic growth (‘Growth Measures’) and those that measure factors that help enable economic growth (‘Growth Enablers’). Together they provide a more holistic view of Macedonia progress compared to what is provided by more traditional economic measures. The goals for each metric are defined relative to 33 peer countries at similar stages of economic growth.